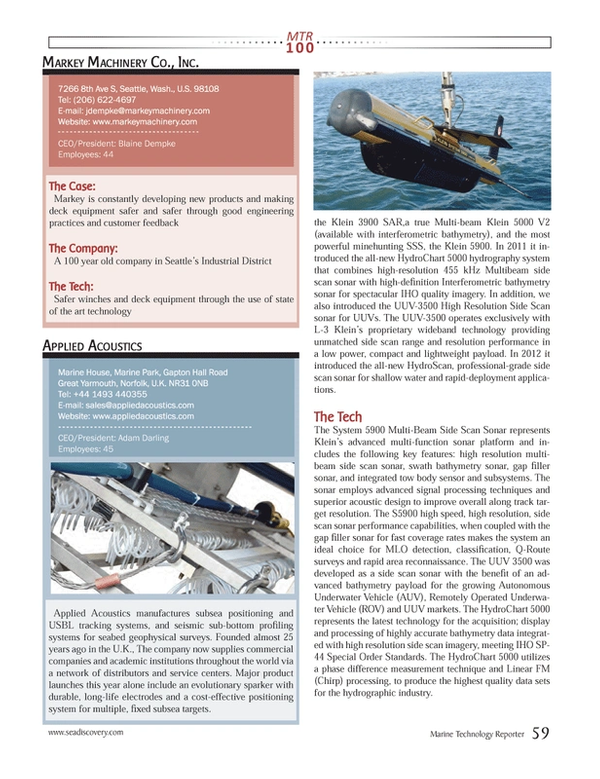 Applied Acoustics manufactures subsea positioning and USBL tracking systems, and seismic sub-bottom profiling systems for seabed geophysical surveys. Founded almost 25 years ago in the U.K., The company now supplies commercial companies and academic institutions throughout the world via a network of distributors and service centers. Major product launches this year alone include an evolutionary sparker with durable, long-life electrodes and a cost-effective positioning system for multiple, fixed subsea targets.